At WIX, we love to play in the dirt. That’s why we’re offering your FFA chapter an easy way to live the same way. All you have to do is encourage your friends, neighbors and family to use WIX Filters. During the fundraising period, WIX will donate $.25 to your FFA chapter for every official WIX box top redeemed. Farmers, truck owners, repair shops, garages and auto parts stores can all help you earn money. Just collect their WIX part-numbered box tops and send them in. Over the years, WIX Filters has donated over $750,000 to local FFA chapters throughout the United States as part of the promotion. Be sure to redeem your WIX box tops before April 15, and include the completed FFA Box Top Claim Form with your box tops. Ask your local WIX distributor for the claim form, download below, or call (704) 869-3343 between 8 a.m. and 5 p.m. EST. We can’t wait to start receiving your box tops and send you a check in support of your FFA chapter. We’re proud that WIX Filters can help you rake in the cash. 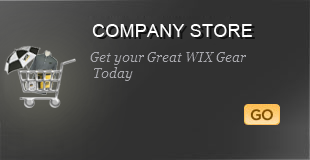 I would like to receive special updates and offers from WIX Filters. Must have Tax Exempt Number to process box tops and receive money. Enter a competing manufacturer's part number below to find the right WIX filter for you.